A large, scalable solution perfect for the biggest groups, the 56-passenger charter bus is sure to accommodate attendees of even the largest events. 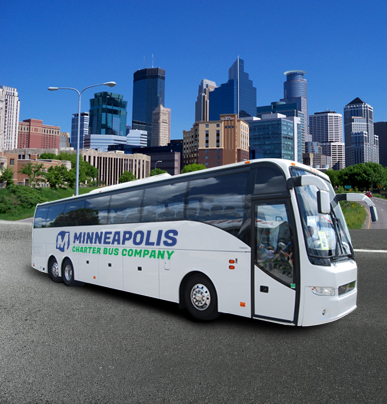 Minneapolis Charter Bus Company is ready to help you coordinate your next trip. 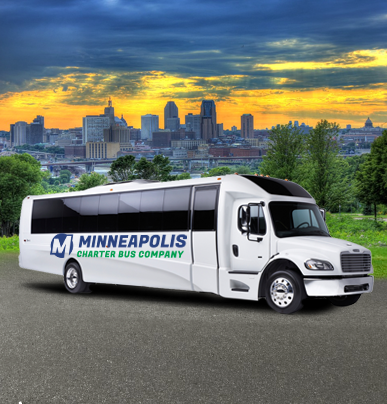 If you’re trying to plan your next corporate event, wedding, sports competitions, or school outing, call us today at 612-286-1606 to book your motorcoach! For groups too large for an 18 passenger minibus, the 20 passenger minibus provides all of the same functionality and features as its counterpart, with a bit more size. 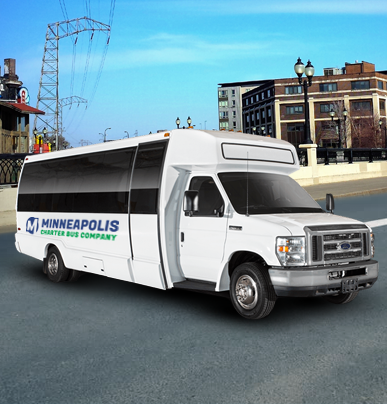 The 56 passenger charter bus is the largest and most robust transportation option available. Fully equipped with a number of premium features, it's perfect for large groups. When a group is too large for a traditional minibus but too small for a full-sized charter, the 25 passenger minibus provides a spacious, yet efficient solution for shorter trips.